Harmonic Geometry contains 64 patches for Reaktor Prism, including fantasy plucked, bowed and blown instruments, basses, pads and synths perfect for setting a mellow or mysterious mood in your tracks. This soundset is compatible with both Reaktor and Reaktor Player. 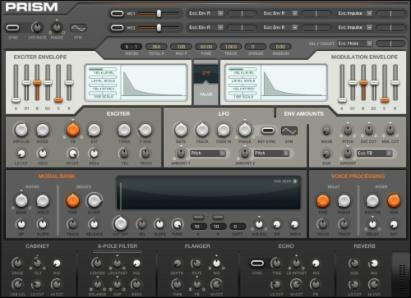 If you have the FULL version of Reaktor, the included ssf file can also be loaded into the freeware Mikro Prism, which can be downloaded here.